Aptera. 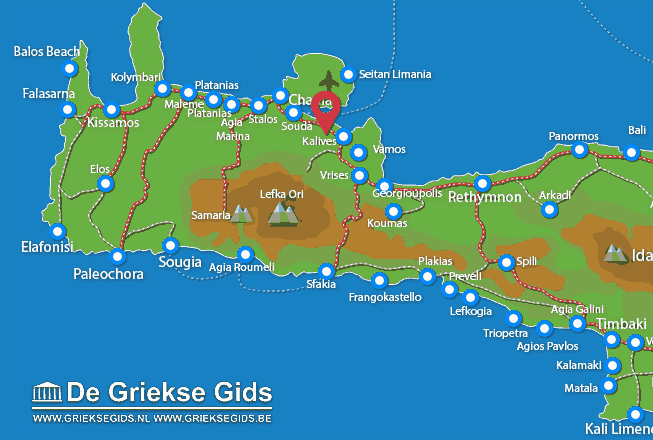 Aptera is an historic city-state in the northwest of Crete. 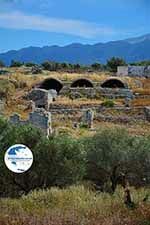 Ancient Aptera is perched on a hill south of Souda Bay, about 15 kilometers east of Chania town. 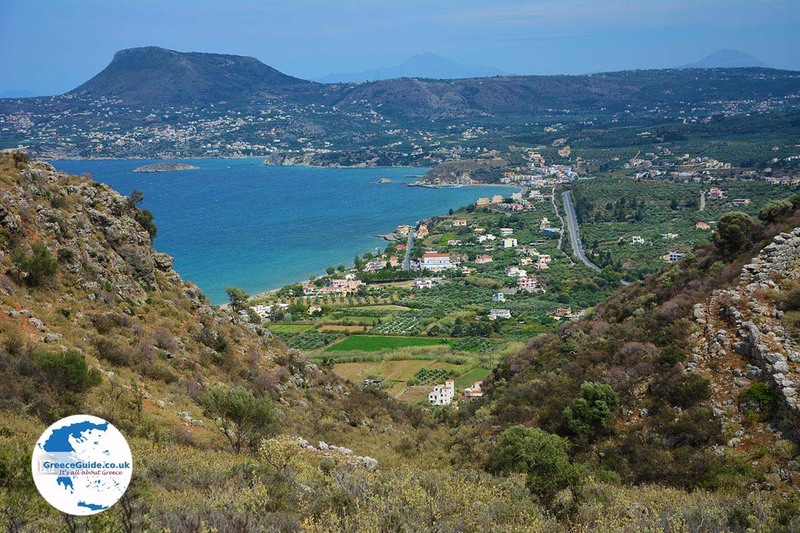 From here the view over the Souda bay and the White Mountains is very beautiful. 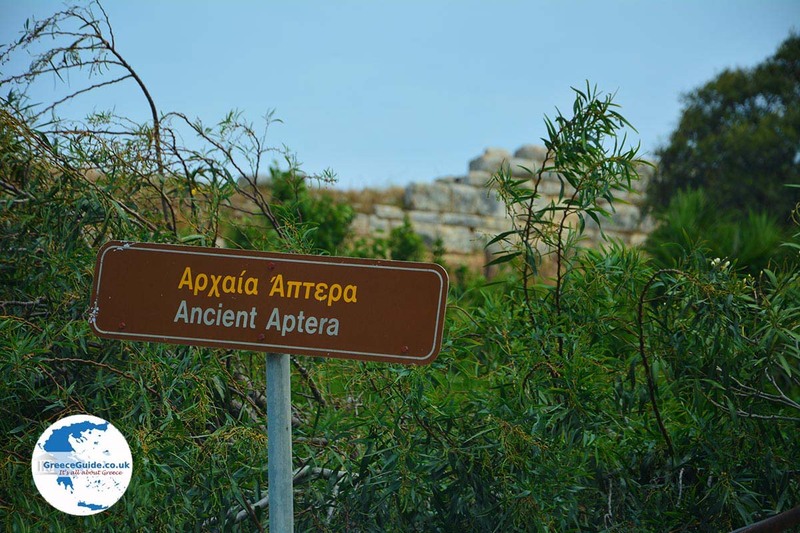 Aptera was founded around 1400 years BC. and existed until the seventh century AD. Aptera was built in a privileged place. 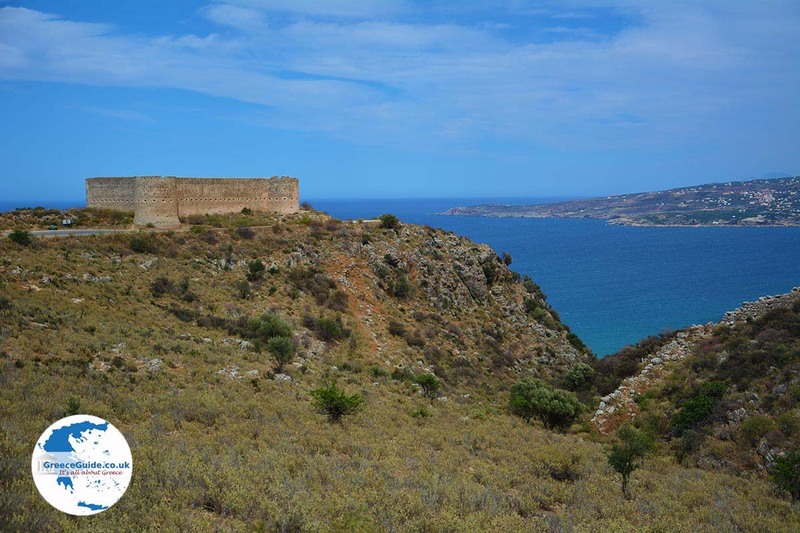 The high location was ideal to watch over the Souda bay. 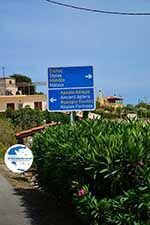 It had two ports on both sides of the entrance to the bay; ports Minoa (in Marathi) and Kalives. This resulted in the control of all maritime activities. The greatest prosperity that Aptera had was in the third and fourth centuries BC. In that period it had its own coins. 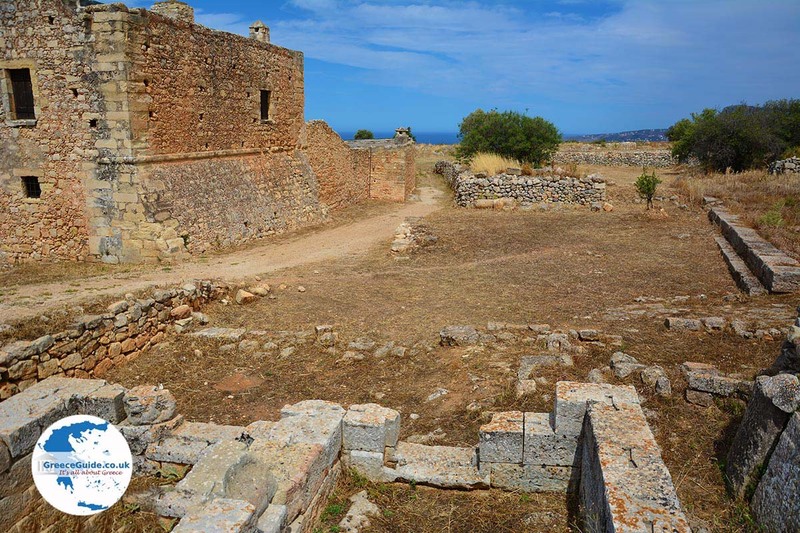 From that period also date a few ruins as part of the nearly four-kilometer-long walls of the Acropolis. The main entrance was in the west, and there were also secondary entrances to the east and north. 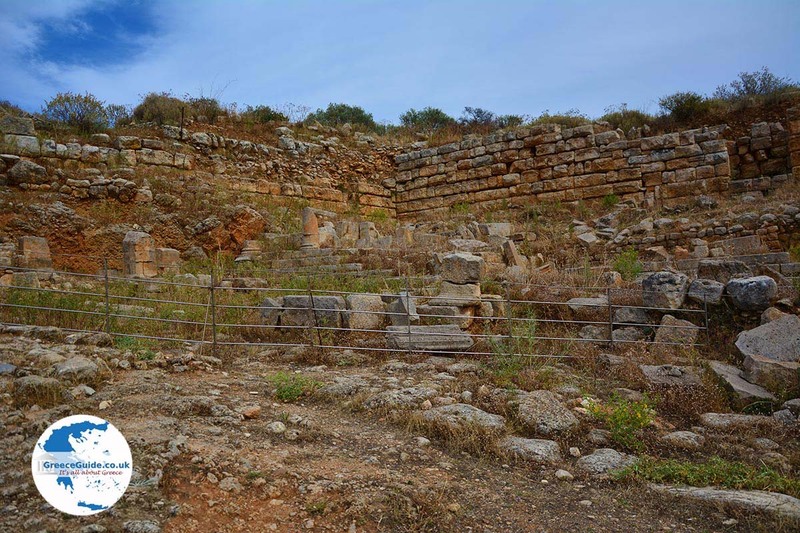 When Aptera came into Roman hands, it continued to flourish and prosper Reservoirs were built and many wells. There were buildings and a theater. 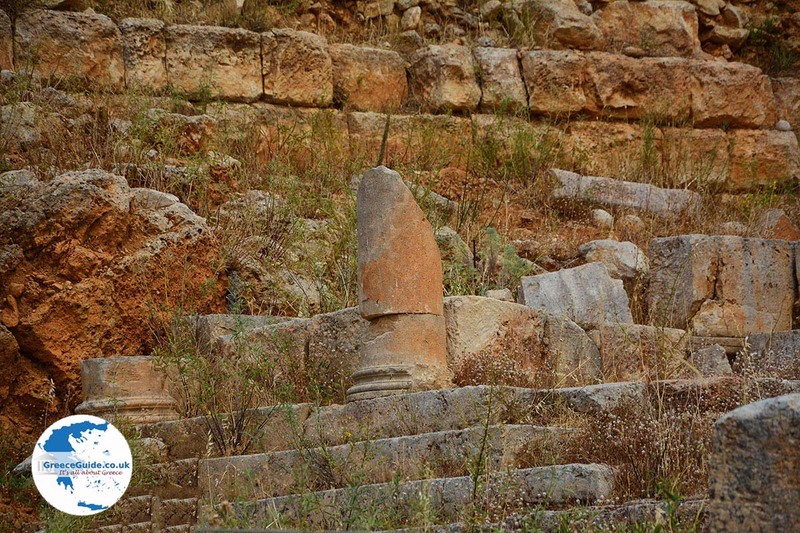 In the area outside the walls, one can see several cemeteries of antiquity. it was totally destroyed in the seventh century and plundered by the Arabs. Aptera was abandoned. Centuries later, in the twelfth century, the monastery of Agios Ioannis was founded the Theologian which did service until the 60’s of the last century. 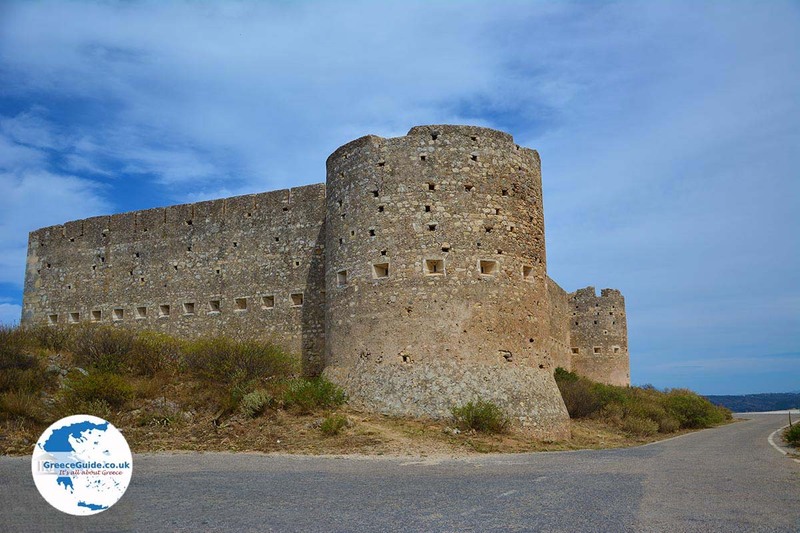 In the period 1866-1869 a castle was built by the Ottoman conquerors (Koules fortress) in order to suppress the Cretan Revolution. 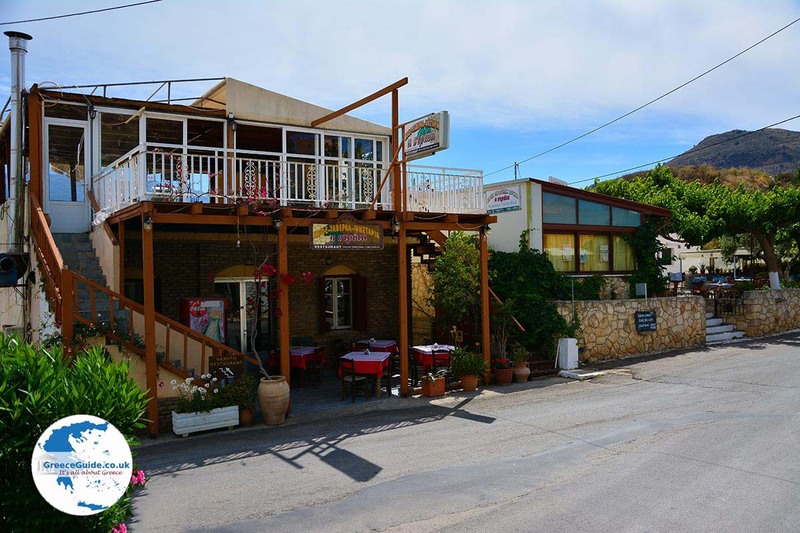 Beside the ruins today is the new Aptera village with several tavernas and cafes along the way. There are rooms for rent in the village. 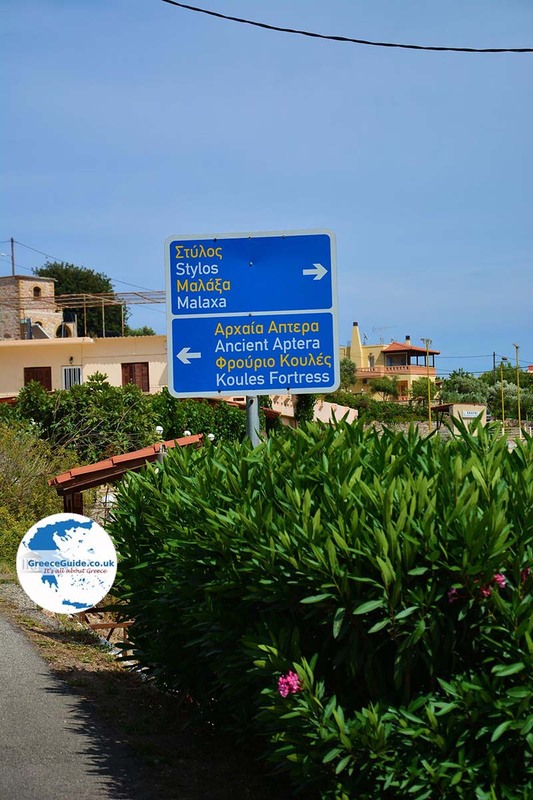 Chania Prefecture: Where on the map is Aptera located?